Now how could i not write my views about something the nation is talking about ..SpeakAsiaOnline , an online company which pays you for your valuable opinion and said to be Asia's largest online survey company claims to have a business model, returns from which can easily beat any investment options available.Before we get into calculations here is some information about the company and mode of operations. SpeakAsia claims to be located in Singapore and is owned by Harinder Kaur.The company operations remain to be completely online which as per laws does not require them to have a country specific registration.This was informed in reply to the questions of it not having an office or not being registered in India.The company has seen exponential growth in India and registered approx 15 lakh panelists or opinion provides in a very short span of time. 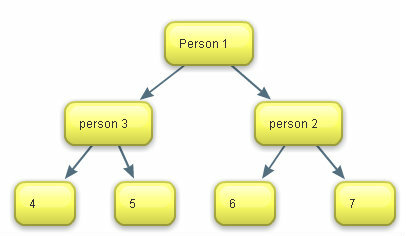 The formal introduction doesn't provide much information about the way the company is operating in India.The mode of operation is similar to the MLM ( multi level marketing ) formations shown here where a person joins the company and then forms a chain of people below it in a fashion that it fetches an incentive for all the people that have joined below the person in the chain.Here person 1 will receive monetary incentive from the company for making 2 people join.similarly person 2 and person 3 will also benefit from those who have joined below them.Such a binary chain like structure moves in to exponential growth mode going beyond some levels as more and more people get involved and thus in turn refer more people to join. When you join Speak Asia Online you pay a certain amount ( 11000/- ) for a year to join them as a premium panelist.After which you receive 2 survey per week which you can fill anytime within a month and receive 500 INR per survey from the company.Also if you make people join below you for the same mentioned fees you tend to receive an incentive in the form of referral income.This is mainly to motivate people to make more people join.While the person who has referred gets a small incentive, majority of the money goes to the company.The newly joined people also get survey to fill and can make more people join to receive incentives. Now the real deal....Is the company for real or a big scam is in the offing?? We cannot be judgemental because a lot of 'SpeakAsians' do believe that the company is genuine and has fulfilled all its promises and payments.But still the recent reports have put doubts in the minds of many for which the company also could not provide the answers. 1) ROI : Return on Investment : As per the company franchises and agents ( panelists ) a return of 48000 on an investment of 11000 for an year is being promised.That amounts to a return of more than 400% in a year.Now a person not new to investing and with some experience can easily guess why do i smell fish in this.Being actively involved in stock markets i can easily suggest that with this much growth rate when compounded you can easily leave warren buffet behind in terms of wealth.This is the very reason that is making people join the company i.e high returns and quick money without much work. Company's Take : As per what was informed in the recent press conference it was said that they do not promise X amount of returns to the investor.Moreover they also refused to accept taking money for registration .As per them the amount being collected from investors is for the subscription of an e magazine or ezine from the company.All this is clearly contradictory to what the agents and franchises have been telling people and selling memberships. 3) Clients and Currency Conversions : Speak Asia has mentioned that companies like bata , samsung and icici bank are some of the clients it is providing survey research reports to,but as have been confirmed by various news agencies all these companies have denied buying any survey from Speak Asia.Also similar names were taken by a marketing officer of the company while being interviewed by a news channel as being their clients.Also the officer said that the foreign exchange transactions in India take place through ING VYSYA bank. Company's Take In the press conference when asked this question the company representative apologised to the the mentioned companies and blamed some communication error.They offered an unconditional apology which is good on part of the company. 4) Earnings : The only visible source of earnings for the company is the subscription fees they receive for the e-zines and while 15 lakh people have already joined the earnings are astronomical.The modus operation appear similar to the ponzi scheme where people joined at different levels pay for the people at previous levels. 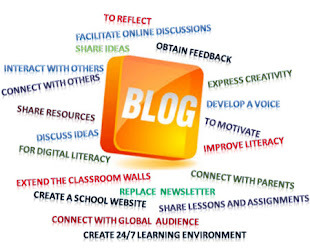 Company's Take : As per the company they make most of their money from advertisements , selling market research.They do not promise to return any money to investors but they will continue to receive the ezines for which they have paid.Also they said that the client list cannot be shared with others as this will affect their business. Personal experience ; Now if you ask me , i myself am a panelist in the company and joined after repeated persuasion by a friend to join.the payouts till now has been smooth which exactly is the reason why people earning well from the company are not ready to believe they have done anything wrong. Contrary to what the company says agents and franchises at the ground level are promising the returns of 400% to people and have also made people join who are not capable of reading surveys let alone fill them. Clearly the current panelist are being paid on the expense of new joining and until the company changes the business model drastically the current returns are hard to sustain ( read impossible ). The company has also refused that they have any operations in Bangladesh after joining hoards of people in the scheme there.Similar conditions can easily be seen in India because as per news channels regulatory bodies are soon to get involved and certain high profile people are to file FIR against the company result of which ultimately will declare whether the company is genuine. PS : I have tried not to hurt the sentiments of SpeakAsians by being judgmental about the company, that is for the readers to decide.but still the returns offered seem to be unsustainable and by taking a practical , non emotional approach you can save yourself from big losses.